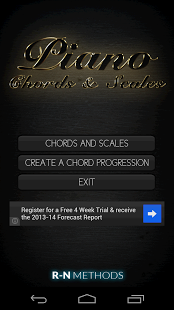 This application is designed to give you quick access to the most used Piano chords and scales. 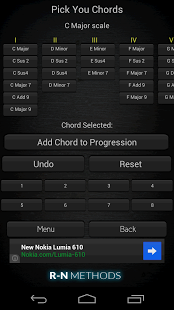 With the added feature of creating a chord progression. This application is perfect for songwriters. 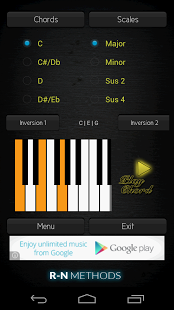 Piano chords and scales “Create a Chord Progression” allows you to choose chords that fit a particular scale for your chord progression. Please let me know what you want included in the app/how I can improve it. Ty. If you dig this app, then rate and comment. Let me know what I can add to it..